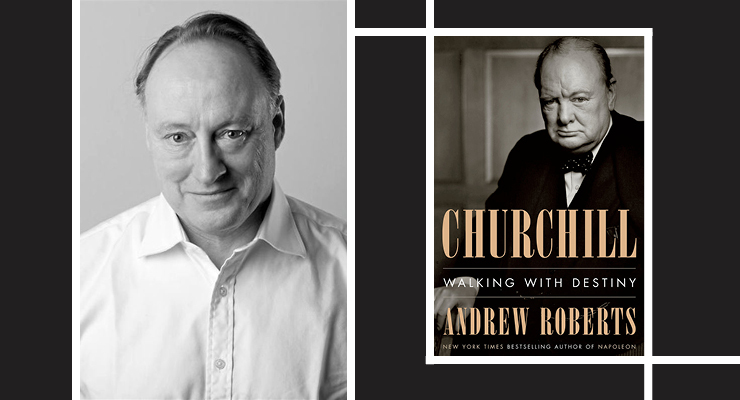 Winston Churchill proclaimed that “History will be kind to me, for I intend to write it.” In 2018, however, author Andrew Roberts published his own written account of the man, The New York Times bestselling book, Churchill: Walking with Destiny. In this new work, Roberts gives readers the expanded Winston Churchill, from birth to lasting legacy. He goes beyond the well-tread facts of Churchill’s life, delving into never before seen transcripts of War Cabinet meetings, diaries, letters, and unpublished memoirs from Churchill's contemporaries, including detailed notes taken by King George VI in his weekly meetings with Churchill during World War II. Andrew Roberts is a biographer and historian of international renown whose books include Salisbury: Victorian Titan (winner of the Wolfson Prize for History), Masters and Commanders (winner of the Emery Reves Award) and The Storm of War (winner of the British Army Book Prize). Roberts is a Fellow of the Royal Societies of Literature and the Royal Historical Society, and a Trustee of the International Churchill Society. This event is sold out. If you wish to be placed on the waiting list, please contact Alana Buenrostro at (214)965-8417. Contact: THIS EVENT IS SOLD OUT. If you wish to be placed on the waitlist, please call Alana Buenrostro at (214) 965-8417.